“So, how does that work around here?” Travis asked. Using the analogy of video games and expert levels made the reinforcement process understandable, but we were running a loading dock, not playing a video game. “The first day,” Travis smiled. “Showing up for work on time,” Travis said. “And when does he get a yellow shirt?” I continued. This entry was posted in Accountability, Coaching Skills, Performance Feedback and tagged coaching, learning, positive reinforcement on March 1, 2019 by Tom Foster. “Sustained, discretionary effort. That’s what we are after,” I said. “The training period requires more attention and focus from the manager. But as time passes and new behaviors become competent skills, the reinforcement changes. “So, what does the manager do differently?” asked Travis. “Lots of things, but let’s start with the easy stuff. In the beginning, the manager may reinforce good old fashioned effort. But as time goes by and the effort becomes accomplished, the manager changes to reinforce a specific sequence. As the specific sequence becomes accomplished, the manager may reinforce speed or efficiency. 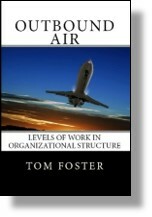 This entry was posted in Accountability, Coaching Skills, Learning and tagged coaching, competence, positive reinforcement on February 27, 2019 by Tom Foster. “What gets reinforced gets repeated,” I said. “That’s why measurement and feedback loops are so important. “Here is the insight. Most managers focus their time before the behavior. Most managers provide training and give lectures on the way things should be done and then wonder why they don’t get the desired behavior. Most managers think their biggest influence on behavior occurs before the behavior. This entry was posted in Coaching Skills and tagged positive reinforcement on February 18, 2019 by Tom Foster. In the sport of snow skiing, control is achieved by counter-intuitive thinking. As speed increases, and the skier becomes “out of control,” conventional thinking causes the skier to lean backwards. This disastrous response moves the front edges of the skis off of the snow creating less control and increasing speed. The counter-intuitive response is to shift the body-weight forward, creating leverage on the front edges of the skis, giving the skier the ability to turn out of the fall line, resulting in skier control and a decrease of speed. I see many managers attempt to gain “control” of their teams using force, command and control, threat of firing. Those of us with children know the futility of these efforts. The counter intuitive response is to ask questions instead of telling, to ask for commitment instead of demanding. It takes more time, requires more patience and has a longer lasting impact. Sometimes it even works with children. This entry was posted in Accountability, Coaching Skills and tagged ask questions, commitment on January 9, 2019 by Tom Foster.